Goodreads says, "The critically acclaimed authors of I'll Be Seeing You return with a riveting tale of two sisters, set in the intoxicating world of New York City during the Roaring Twenties. Ivy and Rose Adams may be sisters, but they're nothing alike. Rose, the eldest, is the responsible one, while Ivy is spirited and brazen. After the unexpected death of their father, the women are left to reconcile the estate, when they make a shocking discovery: not only has their father left them in financial ruin, but he has also bequeathed their beloved family house to a brother they never knew existed. With only a photograph to guide the way, Ivy and Rose embark to New York City, determined to find this mysterious man and reclaim what is rightfully theirs. Once in New York, temptations abound at every turn, and soon the sisters are drawn into the glitzy underbelly of Manhattan, where they must overcome their differences and learn to trust each other if they're going to survive in the big city and find their brother. Filled with unforgettable characters and charm, Empire Girls is a love letter to 1920s New York, and a captivating story of the unspoken bond between sisters." Rose and Ivy Adams live in the country with their father. Rose is more reserved and takes care of the household since their mother dead years ago and Ivy is more of an outgoing dreamer with not much responsibility. When their father dies unexpectedly, Rose assumes he will leave the house to her as she is the one that has taken care of the family for years, but he surprisingly left it to an unknown man named Asher. This unknown man is actually their half brother, a brother they never knew existed. They need to find him as their father left his financial affairs in ruin and they find out that he is living in New York City. The only problem is that many sources say Asher has disappeared since he returned from the war. Rose and Ivy are determined to find him, but each for different reasons. While looking her brother, Ivy has her mind set on exploring the exciting world of Jazz Age New York City. 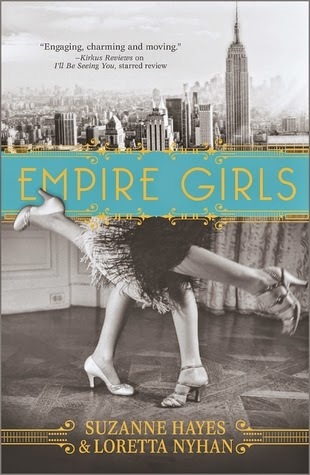 Suzanne Hayes and Loretta Nyhan's Empire Girls is a fun romp through 1920s New York City and includes a family mystery that will keep readers flipping the pages. While I really didn't connect with either sister in Empire Girls, I still enjoyed the characters of Rose and Ivy. Rose is a talented seamstress and goes to New York City with the hope to find Asher and then plans to leave the city immediately whereas Ivy, the aspiring actress and party girl, sees New York City as an adventure. Both sisters sort of drove me nuts, because they are polar opposites and really had a hard time relating to each other. However, I liked how New York City brought Rose out of her shell, especially when she meets Sonny, a guy that she starts to have feelings for. Rose realizes that perhaps the city isn't so bad after all. The mystery of Asher's whereabouts kept me flipping the pages in Empire Girls. Rose and Ivy knew that people were keeping secrets about Asher and they were determined to get to the bottom of it. The more they learned about Asher, the more they realized there was so much they didn't know about their father as he had many secrets. The setting of New York City in the 1920s was fantastic. Hayes and Nyhan did a great job of bringing the city to life and the exciting time of speakeasies, bob haircuts, flapper dresses, and the fun of Coney Island on a hot summer day. If you are looking for a historical read this summer that has an interesting mystery, family secrets, and two sisters who learn about life and love in New York City in the 1920s, then check out Empire Girls this summer. I haven't read a historical fiction book for a long while now and I must say Empire Girls sounds really great. From time to time I like a good mystery and the setting is New York! Hello! New York, that's just one thing that stands out for me and grabs my attention. 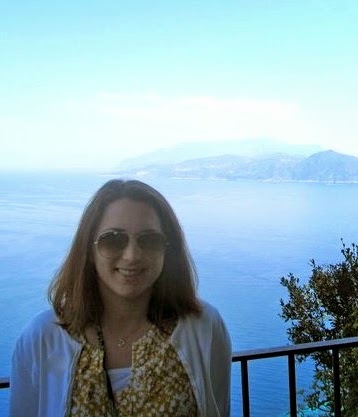 Yes, the setting was awesome. 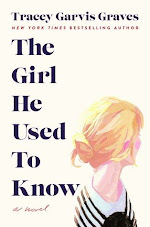 You should definitely read this one, Nina. I think you would like it. Thanks for visiting! I'm glad the mystery element regarding Asher kept you interested in the story even when a connection to Rose and Ivy didn't really form. It's always tricky for me when I don't feel that emotional involvement with the characters, but it's nice when another facet of the story really shines to keep the book from falling flat. Glad you enjoyed this one overall Christina! Yes, even though Rose and Ivy weren't my favorite protagonists, I still really enjoyed the story and was invested. Thanks for dropping by, Jenny! At first I couldn't stand Ivy and then Rose annoyed me sometimes with her attitude too but I liked how the book explored family relationships and I loved the setting. I agree that the mystery is really what makes it interesting. I always am a sucker for secrets and historical fiction. Great review!